Seedstars World is the biggest seed stage startup competition for emerging markets and is held in over 23 cities across Sub-Saharan Africa. They scout for the top high growth startups and entrepreneurs to accelerate them on their path to global success. This event involves a series of bootcamps and pitch competitions in the participating countries. 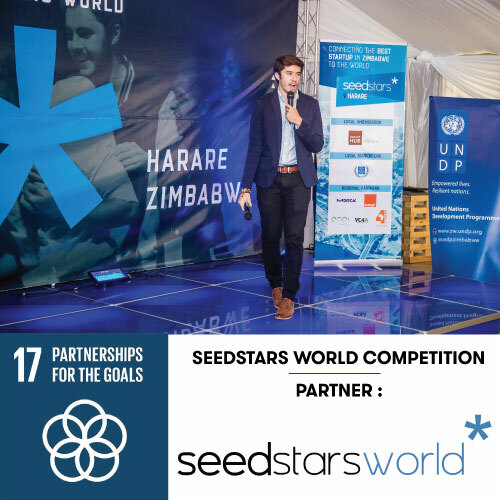 Impact Hub Harare is the official local organiser for the Seedstars World local event in Zimbabwe. It was brought to Zimbabwe in 2016 by Impact Hub Harare’s co-founder Tadzoka Pswarayi, the local Seedstars Ambassador. The winner of the local event in 2017 was myRunner Buses, a company that incorporates tech to make travelling by bus easier. The local winner went on to pitch at the global pitch event this year in Switzerland along other winners from the various participating countries. The participants in the local event were able to expand their ventures & gain access to investment and mentorship opportunities.